4th of July is my favorite holiday because I love decorating my home in patriotic colors, enjoying family time outdoors, and there is nothing to buy (except good food and fireworks)! 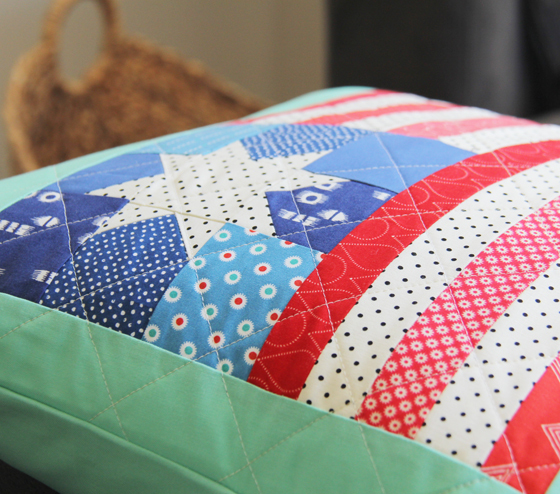 I’m re-sharing pictures from my favorite 4th of July projects...this Flag Pillow (or flag quilt block) is one of my favorite things to pull out since I’ve made it…and I leave it out all summer long. I made my star quilt 5 years ago and it’s still one of my very favorites. I love these stars too because there’s no points to match…super plus. The tutorial is here. 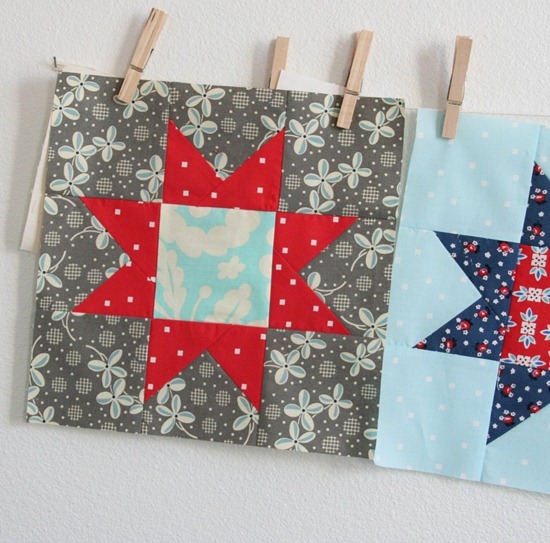 I used a variety of blues and reds…maybe 20 fabrics or so? This one is best made scrappy! 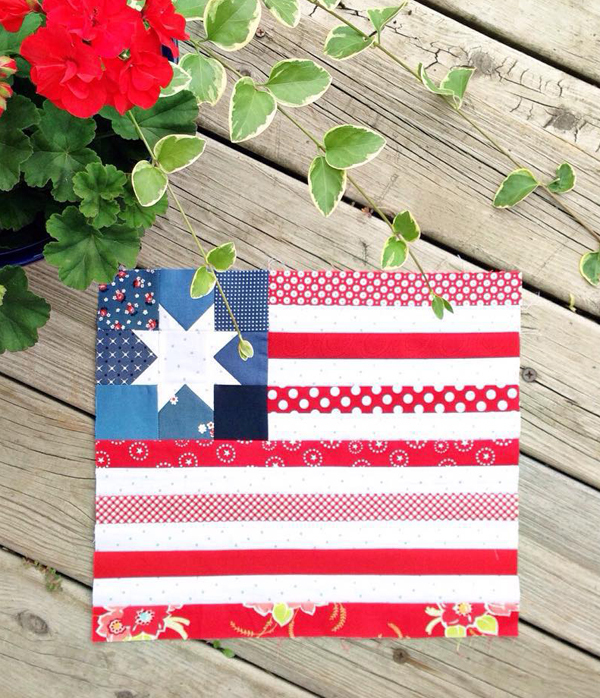 Happy quilting with red, white, and blue!! Thank you for all the baby Jane love…we are head over heels and even getting enough sleep (knock on wood)! The kids love her, the boys love to hold her and talk to her. We are trying our best to soak up every second, the newborn stage goes by way too fast! 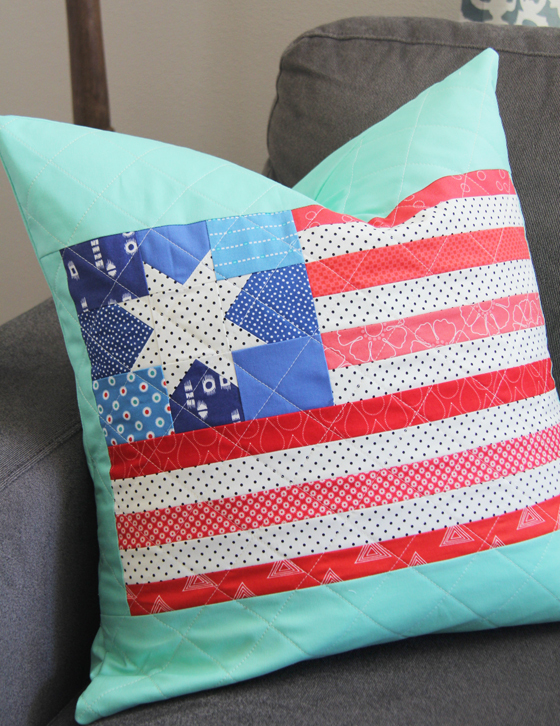 I love your patriotic sewing! And you are always so kind…free tutorials! 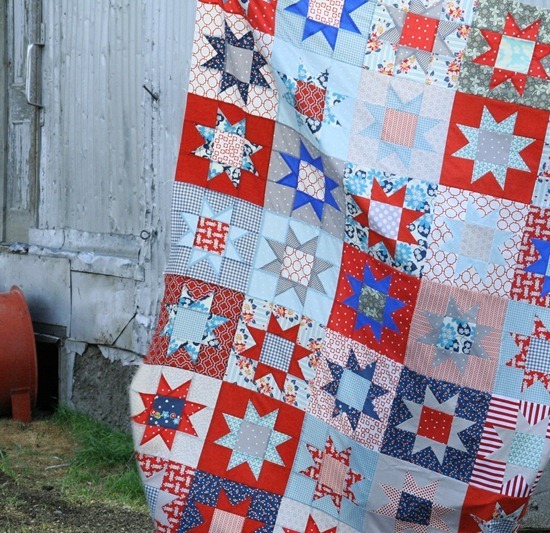 Oh, I think you just added a new quilt to my “want to make” list. This looks so fun! And your no points to match comment is a real bonus! There’s something about your flag block set into that aqua background that gets me every time I see it! 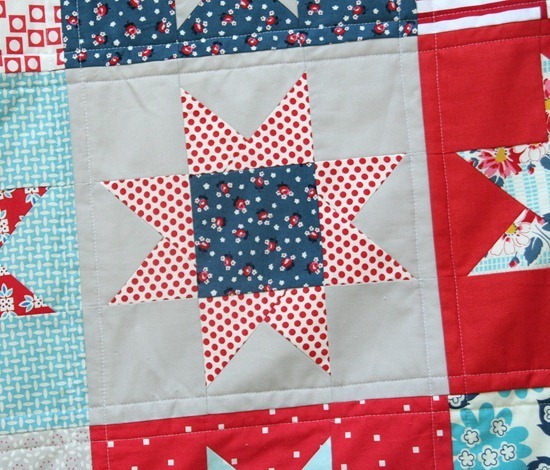 Your red, white and blue star quilt is great, too. Enjoy your family time! That pillow is really nice! Congratulations on your lovely Baby Jane – such a sweet, delicious little girl!! And as always, thanks for your lovely blog and tutorials. So appreciated. I’m making three of these pillows–one for me, and two more for son and daughter-in-law. I really love this block. Thank you so much for sharing the tutorial! !